Did you know that only one in five emails actually make it to the inbox? Where do yours end up? 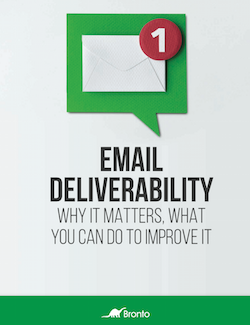 Deliverability can make or break your email marketing program. Yet, many marketers don’t fully understand it. We’ll show you how to create a program that beats the odds. • The factors that affect deliverability. • How deliverability is calculated. • The steps you can take to improve it.